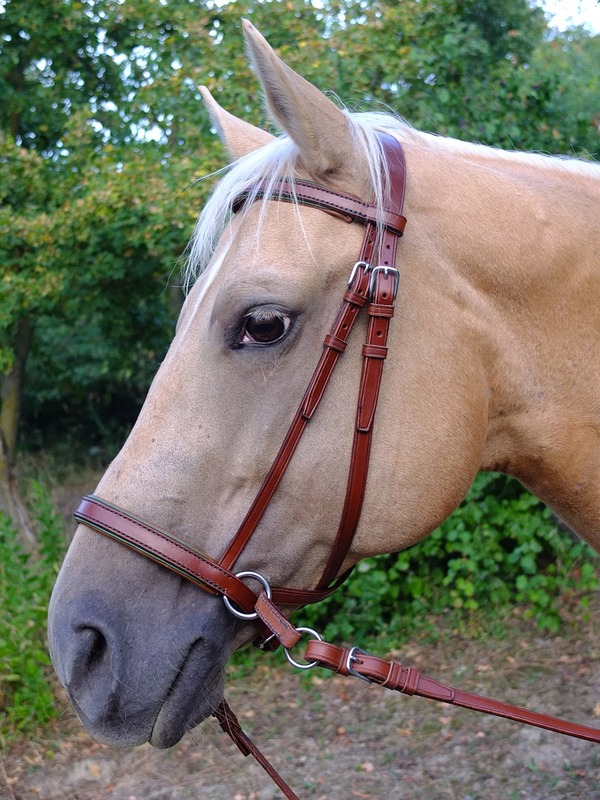 This is a custom bitless bridle made in Cob size. 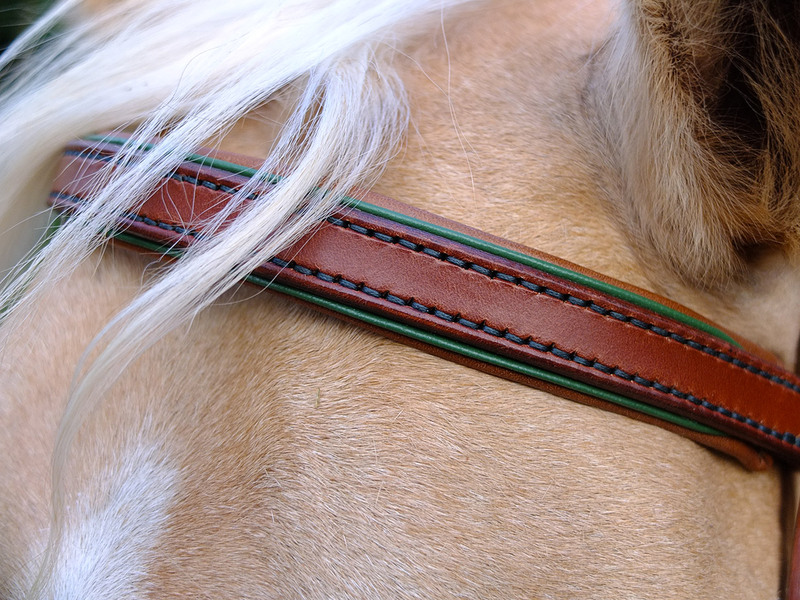 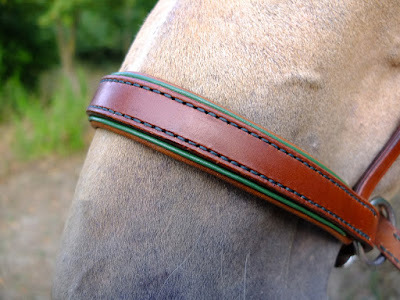 Conker leather with padded parts and green accents on browband and noseband, stitched with green polyester thread. 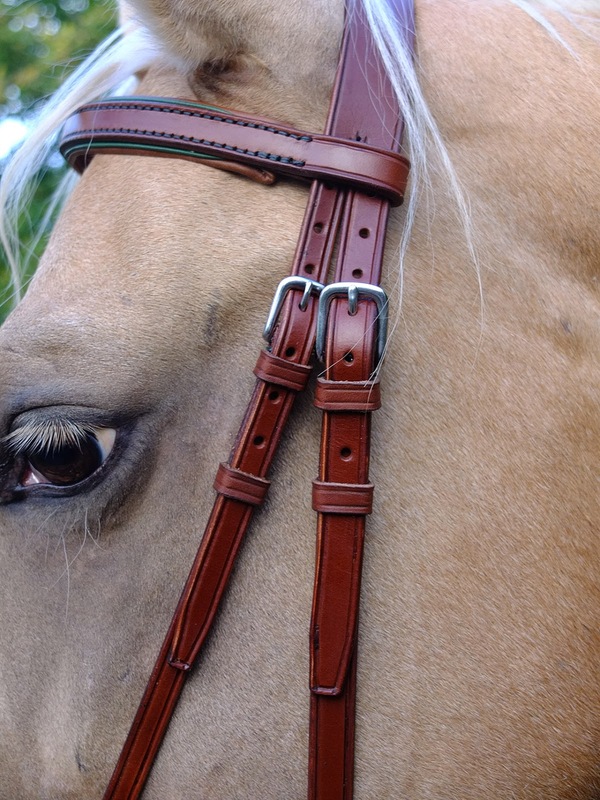 Stainless steel "west end" buckles and rings. This bridle comes complete with matching reins, same leather, buckles and stitching thread.